Get ready for the only pizza tour you’ll ever need. New York is world-famous for it’s thin-crust pizza and Brooklyn has some of the best slices in the city. Even if you only have one day you can check out all the best places. 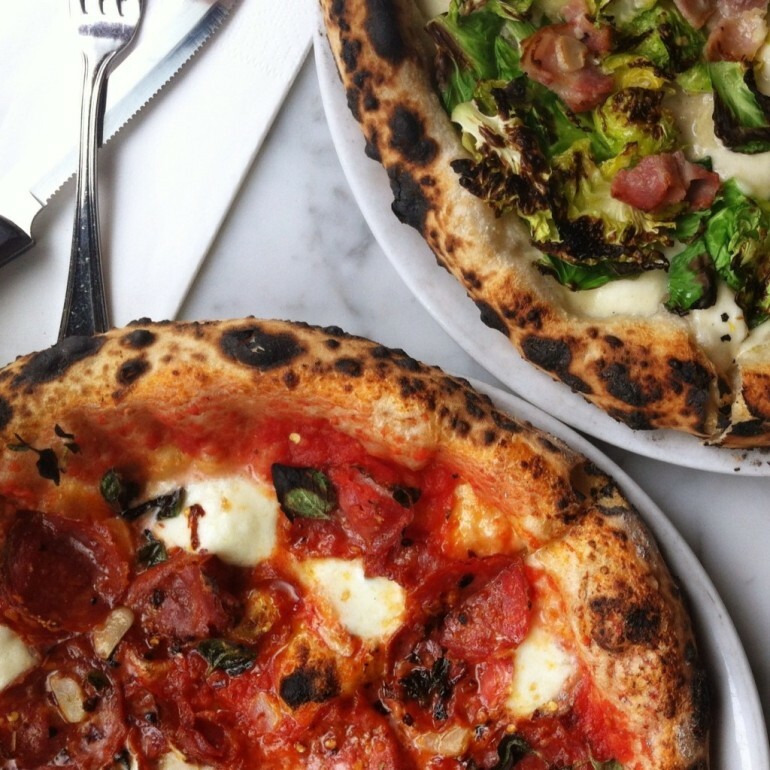 I’m partial to the brussels sprout pizza, especially if you’re visiting NYC and won’t be back. l recommend the Apple Bacon grandma slice, if they have it. The regular slices are good, the grandma slices may be even better. A former corner diner is now looks like a French cafe… but with great pizza. Tons of craft beers on tap to wait out until the next pizza stop. Try the Monte Cristo (gouda, Canadian bacon, a post-oven drizzle of maple syrup). Maple syrup on a pizza? You’ll love it!